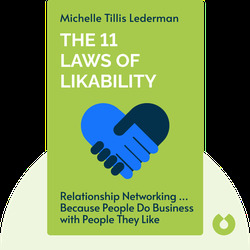 The 11 Laws of Likability (2011) is a guide to networking built on one simple fact: people do business with people they like. 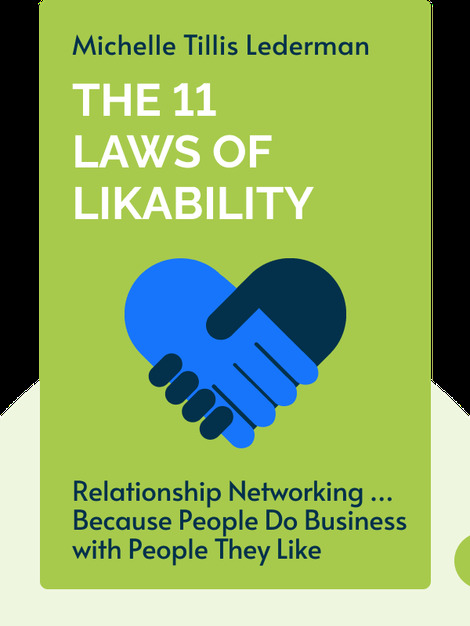 These blinks will explain how to discover your most likable characteristics, start conversations and keep them going, and make a lasting positive impression on people. Michelle Tillis Lederman is a motivational speaker and professional coach. She is the founder and CEO of Executive Essentials, a firm that runs communication and leadership programs for businesses and professionals alike. She is the author of numerous bestsellers including Nail the Interview, Land the Job.